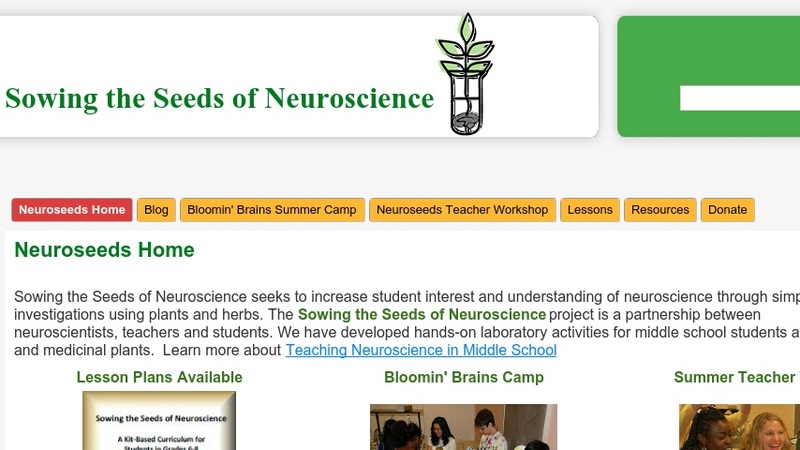 Sowing the Seeds of Neuroscience seeks to increase student interest and understanding of neuroscience through simple, safe lab investigations using plants. The site contains 8 laboratory investigations exploring properties of compounds found in plants and their effect on the behavior and growth of invertebrates. The site also provides general neuroscience and medicinal plant information.